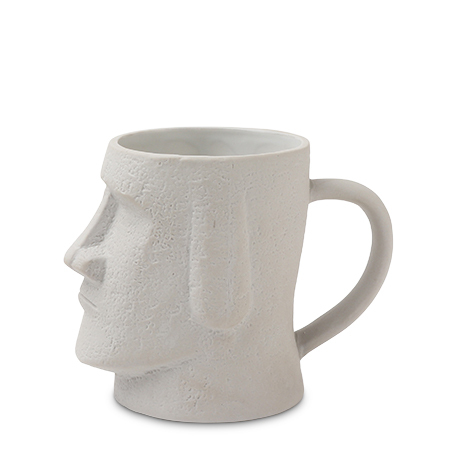 Ceramic Easter Island Moai Statue Mug by SunArt Available at Miya. You don't have to travel all the way to Easter Island to get your own Moai statue! This fun mug will be everyone's favorite so you might want to get a couple. Great as fun gifts for all your friends and family! Hold cold or hot drinks or even just your pens or chopsticks!